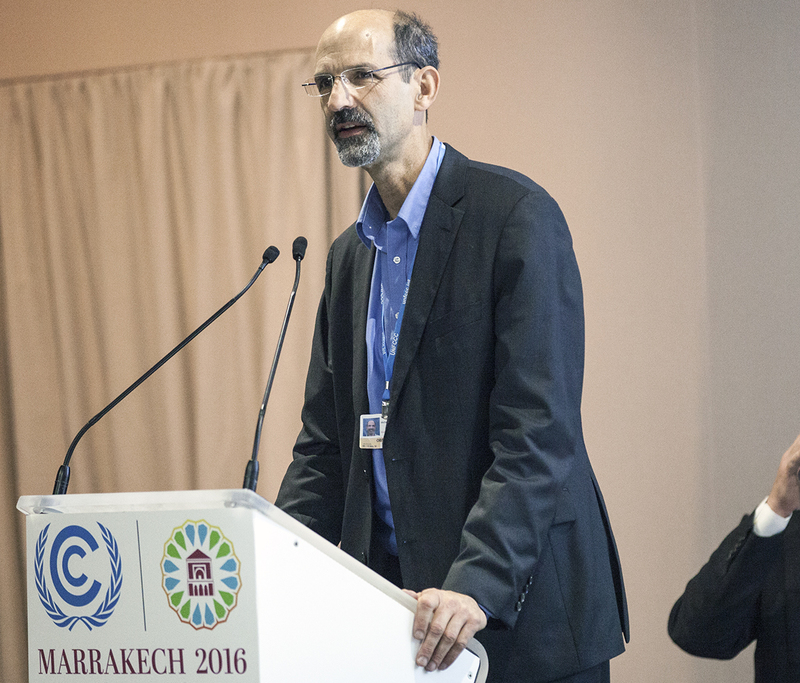 IISD Reporting Services, through its ENBOTS Meeting Coverage, is providing daily web coverage from the Marrakech Climate Change Conference - November 2016. 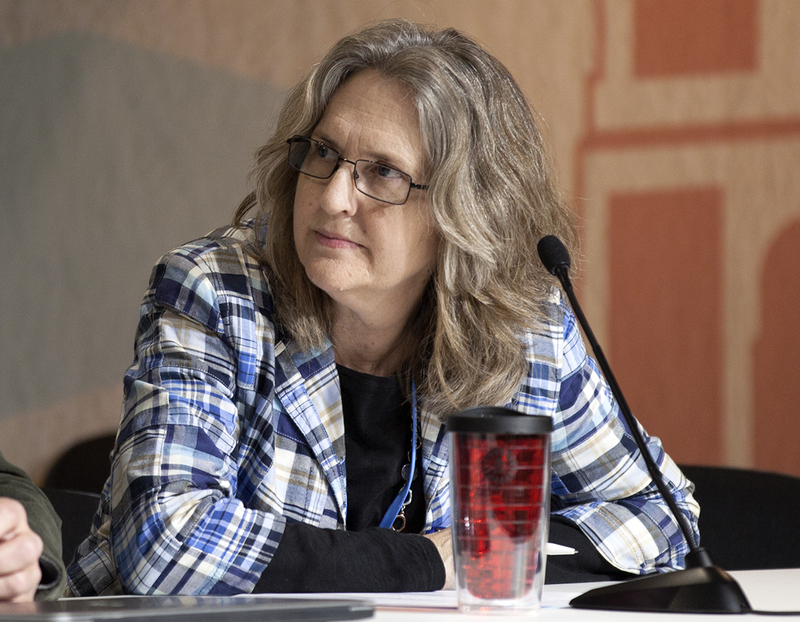 Maria Brockhaus, University of Helsinki, moderated this side event on: the role of sustainable land and forest management in meeting the targets of the Paris Agreement, including how they can be monitored; and the roles and responsibilities of different actors. 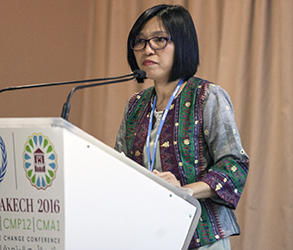 She stressed that the event highlighted the political dimension of data and information, and the need to strive for transparency under the Paris Agreement. 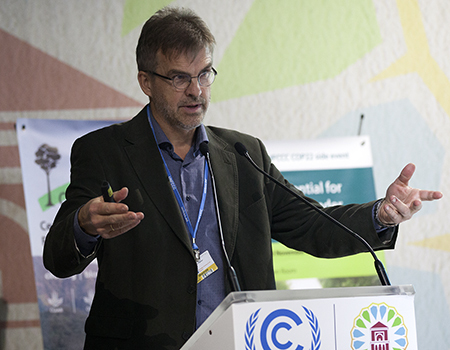 Arild Angelsen, Norwegian University of Life Sciences, presented on REDD+ reference levels. He called for a critical reflection on data gathering and interpretation, and cautioned that how reference levels are set can have enormous implications, highlighting the need to adjust for national circumstances or systemic biases. Martin Herold, Wageningen University, discussed how to enhance transparency and independent monitoring in the land use sector. He acknowledged several components to support transparency, inter alia: interactive monitoring system designs to increase participation; and the need for independent monitoring. Anne Larson, CIFOR, addressed the multilevel challenges within land governance, in particular when establishing monitoring, reporting and verification (MRV) systems. She underscored the need to understand the relationships of different actors and institutions, including those outside the forestry sector, and the importance of dialogue. Explaining that, in 2008, Indonesia adopted a “freedom of information law,” Muhammad Teguh Surya, Madani, cautioned that despite this, forestry data is often not available. He called for improving transparency in the forestry sector not just on paper, but in implementation. Leticia Guimarães, Ministry of Environment, Brazil, explained that since 2001, Brazil has listed all its forestry data online, including reference levels on deforestation. 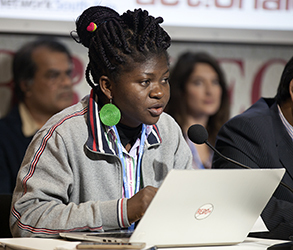 Samuel Mensah Mawutor, Civic Response, Ghana, highlighted the governance challenges pertaining to continued deforestation, including how elections can erase progress made on preventing deforestation in previous administrations. The ensuing discussion addressed, inter alia: the role of politics; how to address inflated baselines, in particular related to the market mechanisms of the Paris Agreement; data and corruption issues; and the transparency gap. Arild Angelsen, Norwegian University of Life Sciences, called for increased transparency “to put the data on the table,” while cautioning against bias in the interpretation and use of data. 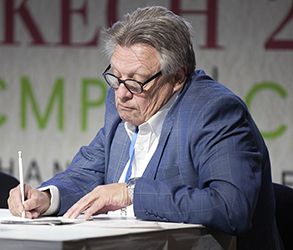 Martin Herold, Wageningen University, called transparency “an opportunity to build confidence and legitimacy,” while acknowledging that the process can cause frustration. 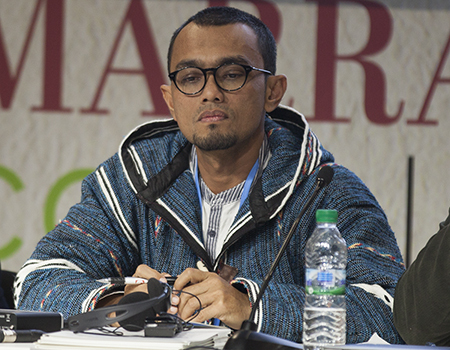 Muhammad Teguh Surya, Madani, noted transparency is essential to improve forest protection in Indonesia. Martin Hiller, Director General, REEEP, moderated this event, which addressed the climate financing for SMEs in the context of NDCs, noting SMEs’ role for economic growth and in community upliftment. Ari Huhtala, Climate and Development Knowledge Network (CDKN), outlined the vital role of SMEs in NDCs implementation, stating that SMEs are well positioned to deliver technologies to the bottom of the social pyramid and increase community resilience. Syamsidar Thamrin, Indonesia, said her government has formulated an energy strategy that aims to, inter alia, increase economic incentives for renewable energy and develop innovative finance mechanisms, citing as an example the Indonesia Climate Change Trust Fund. She said the Trust Fund aims to support innovative project implementation by, among others, providing risk insurance for green projects, a project development facility, and capacity building. 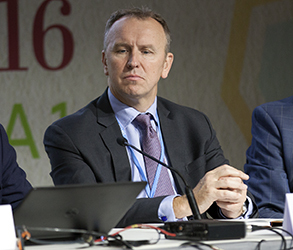 Peter Storey, Global Coordinator, PFAN, remarked that implementation of NDCs should be mainstreamed, rather than operationalized plan-by-plan. He stated that projects should be “bundled” on a large enough scale to attract finance from institutions such as investment banks. He noted other financing methods include crowding in private sector finance, citing off-grid projects in Zambia, where PFAN have sought private sector guarantees to deliver electricity connections, with initial financing provided by PFAN and the Government of Sweden. Mark Fogarty, First Energy Asia, noted REEEP’s role in providing finance to the SME sector by establishing small, localized funds to bring partners together to achieve innovation and secure financing through leveraging the equity smaller enterprises can provide. Opening the discussion to the audience, Hiller said that while there is a lot of climate financing available, “it is not about having a lot of money, but rather having the right kind of money in the right place, at the right time.” Participants then addressed: how to engage SMEs that are informal in sector; the role of, and engaging with, the microfinance sector; criteria for selecting projects financing; fossil fuel subsidies in Indonesia; and the modalities of project bundling. From L-R: Ari Huhtala, CDKN; Syamsidar Thamrin, Indonesia; Martin Hiller, Director General, REEEP; Peter Storey, Global Coordinator, PFAN; and Mark Fogarty, First Energy Asia. Peter Storey, Global Coordinator, PFAN, underscored that for NDCs to have “the impact we need,” NDCs need to move from wish lists to investment plans. Syamsidar Thamrin, Indonesia, said that, for her government, implementation of the sustainable development goals (SDGs) and NDCs go hand-in-hand. Mark Fogarty, First Energy Asia, said that REEP’s twice-yearly call for projects seeks opportunities to invest in projects with sustainable food, water and energy outcomes. This side event, moderated by Timothy Damon, YOUNGO, and Miriam Carolina Somocurcio Holguin, YOUNGO, focused on the key role that youth, who represent more than half of the world’s population, play in implementing climate action. Richard Kinley, UNFCCC Deputy Executive Secretary, stressed that the Paris Agreement, combined with the Sustainable Development Goals (SDGs), put the world on a "reasonable" path towards a sustainable future. Noting that the forces of social and economic change are unstoppable but need to be sped up, he pointed to youth as the engine of social mobilization and change. Underscoring that new economic and social models, as well as new lifestyles, are needed, he called for “an economic and social wave that will sweep along governments” that are less willing to cooperate. 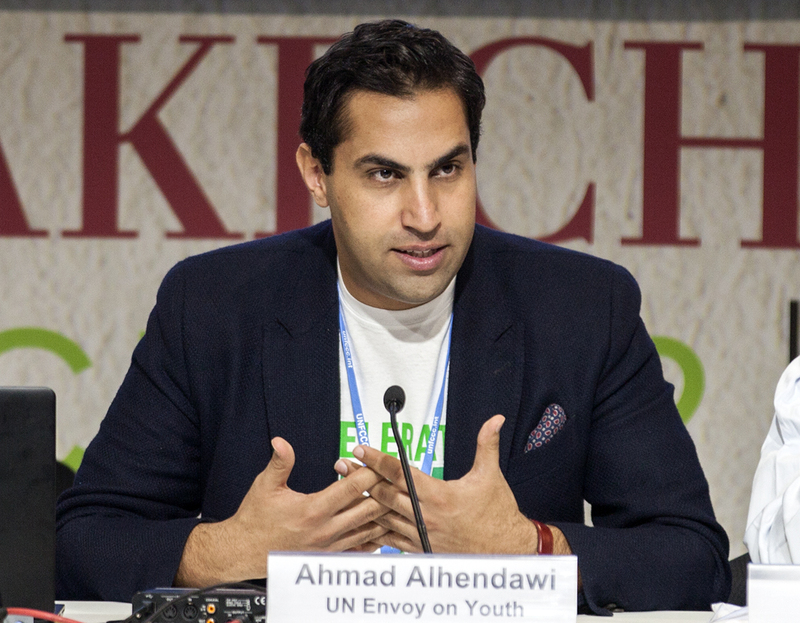 Noting that youth had been an invisible group for too long, Ahmad Alhendawi, UN Envoy for Youth, stressed that this has changed over the past few years. 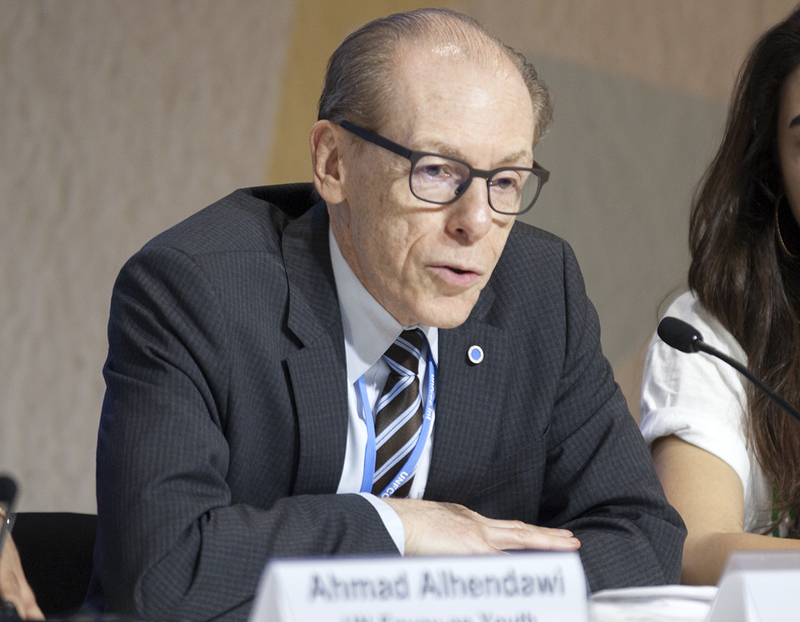 He underscored that, despite the Paris Agreement, the world is nowhere near where it should be, noting that it is not time for celebrations, but rather efforts need to be intensified to hold government accountable to the commitments they made. Stressing the need to take into consideration youth involvement and initiatives in decision-making processes, Fadoua Brour, twelfth session of the Conference of Youth (COY 12), highlighted major achievements and challenges related to organizing and running COY 12. Dominique Souris, YOUNGO, stressed the need to define meaningful youth involvement and find innovative spaces for youth and elders to work together. Noting that young people are passionate and find ways to exceed the Paris Agreement’s expectations, Donald Bambara, YOUNGO, highlighted the need for guidance and mentorship. Faouzia Bahloul, Global Youth Video Winner, shared her personal experience as an environmental educator and scientist working on renewable energy. Noting that young people inherit the problems but also the solutions, Kaia Rose, Film4Climate Winner, advocated for a carbon price, underscoring that such a step would make all other solutions easier. 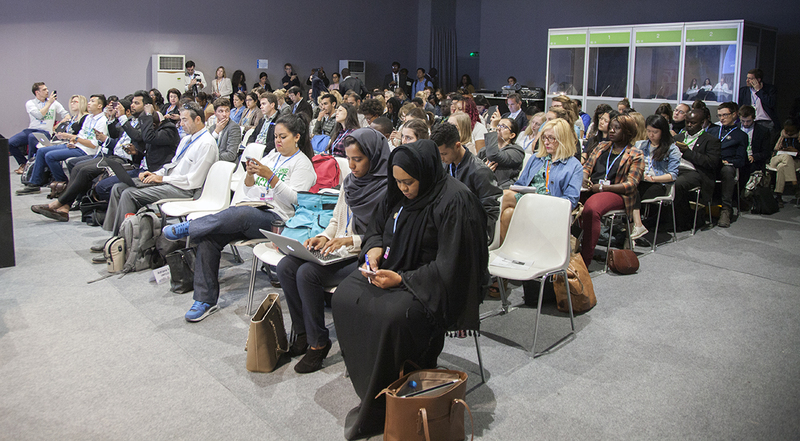 In the ensuing discussion, participants addressed, inter alia: legal climate action; YOUNGO’s inclusivity and structure; the potential for a youth-friendly version of the Fifth Assessment Report of the Intergovernmental Panel on Climate Change (IPCC); understanding climate change using health narratives; participation of more youth from the Global South; and ways to communicate the Paris Agreement to young people. “The youth are talking but are also doing. Are you listening?” asked Dominique Souris, YOUNGO. 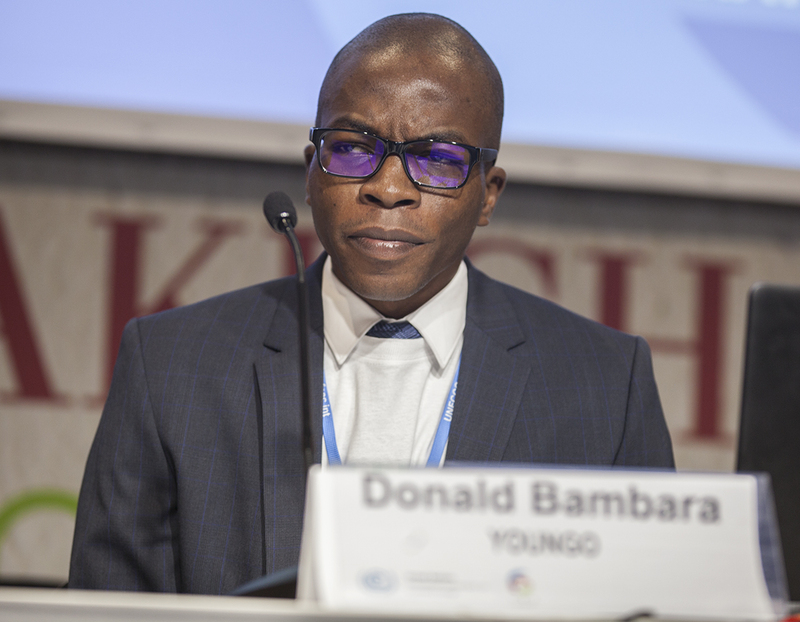 Donald Bambara, YOUNGO, urged elders to believe in the potential of young people and their innovations. 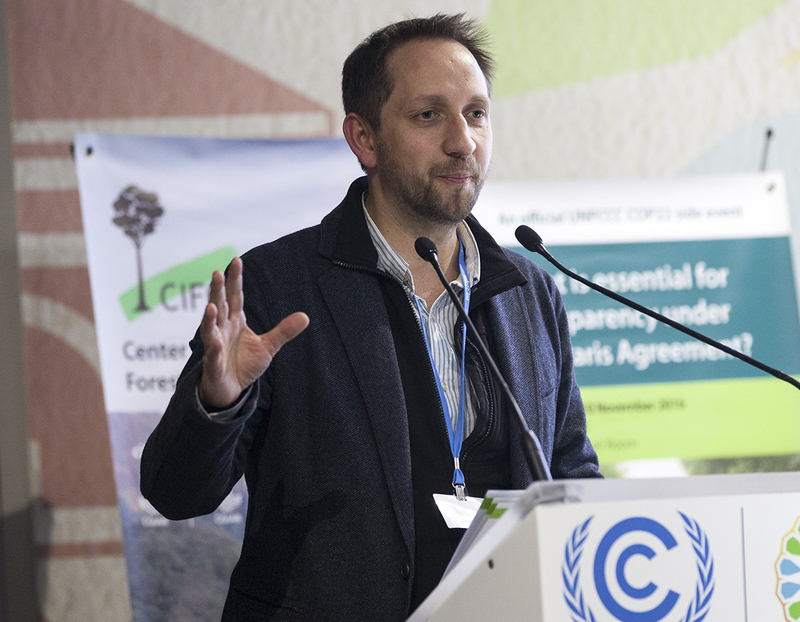 This event, moderated by Leo Hickman, Carbon Brief, discussed ways for climate policy to address fossil fuel supply and debated the implications of policies such as moratoria on new coalmines or removal of production subsidies. Michael Lazarus, SEI, provided opening remarks, saying that: policies that constrain fossil fuel extraction are important complements to climate policy; and such policies can be integrated into national strategies and the UN Framework Convention on Climate Change (UNFCCC) process. Greg Muttitt, Oil Change International, presented Oil Change International’s recent report, ‘The Sky’s the Limit.’ He said the report recommends: commencing a managed decline in fossil fuel supply; rapidly expanding renewable energy; and immediately ceasing fossil fuel permits and concessions. 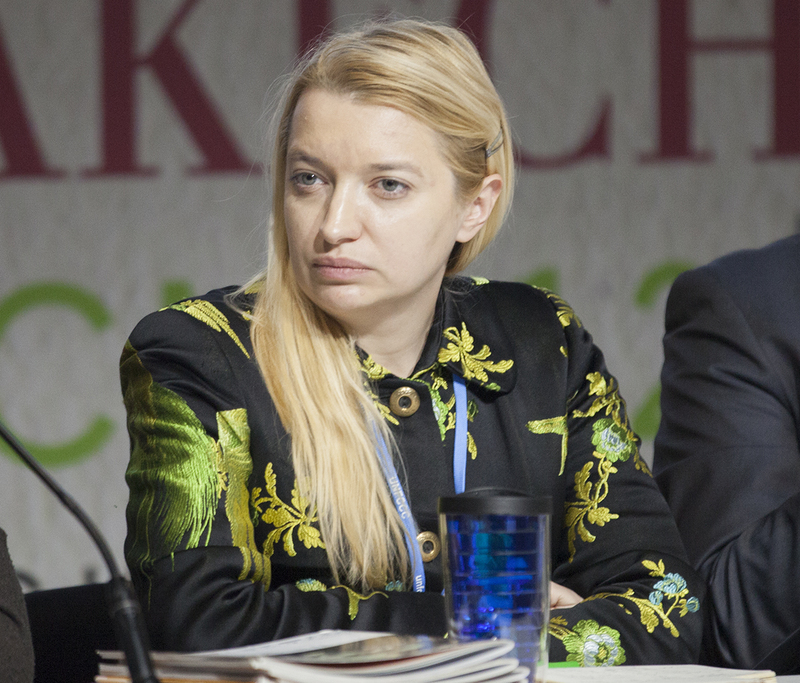 Ivetta Gerasimchuk, Global Subsidies Initiative, IISD, urged for production subsidy removal as part of a comprehensive climate action package, where supporting data can then be used to encourage other measures, such as extension on temporary production moratoria. Peter Erickson, SEI, presented on moratoria on new fossil fuel development using the case of the US, saying that moratoria will bring a net CO2 reduction and help enhance ambition. Katie Thomas, Policy Advisor for Energy and Environment, Office of US Senator Bernie Sanders, spoke on the proposed Keep It in the Ground Act. She said that while the current climate outlook is “dimmer than before,” the Act is a tangible rallying point for the direct action that will be needed and will be seen in the future. Tzeporah Berman, Oil Sands Advisory Working Group, Alberta Government, outlined the Alberta Climate Plan, saying that it was the first oil producing region to legislate a methane limit. 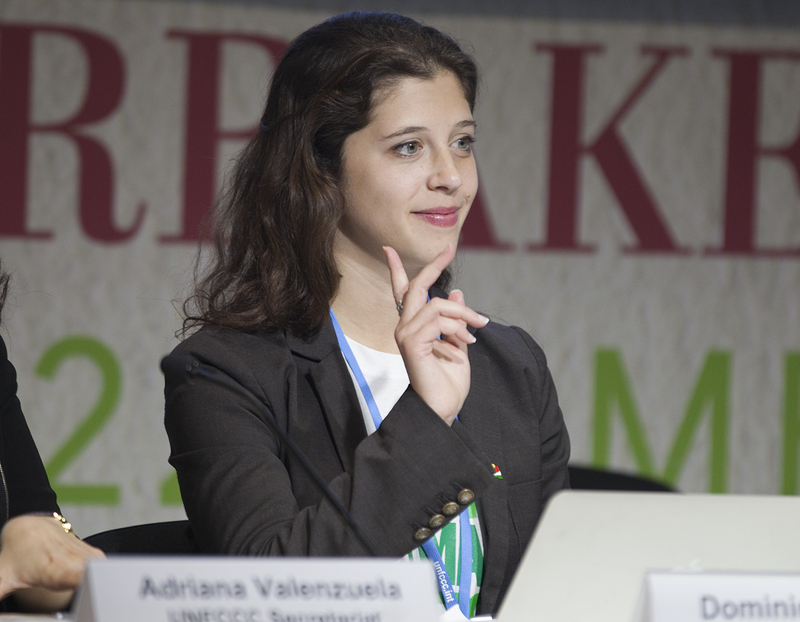 She advocated for creating targets and “new expectations” for climate leadership. Berit Kristoffersen, University of Tromsø, Norway, outlined fossil fuel supply issues in Norway, saying that there is currently a lawsuit on whether the Government of Norway’s decision to open up Arctic Oil Fields is in line with the constitution. 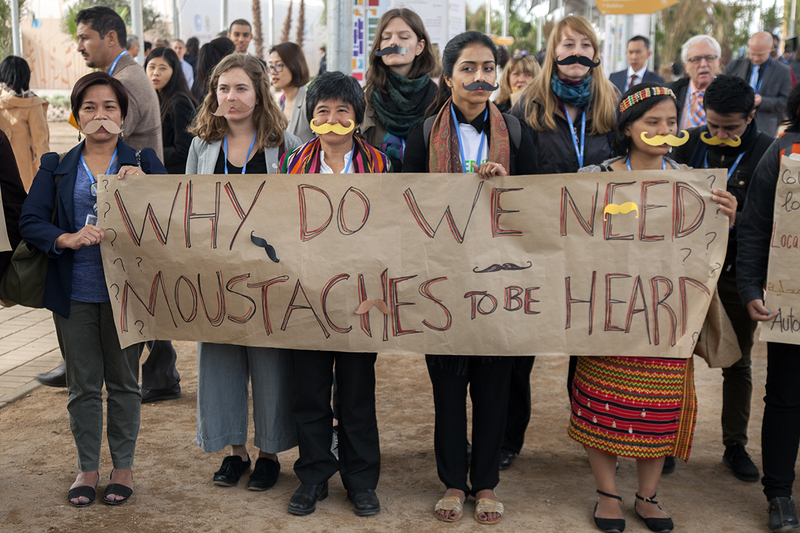 In the ensuing discussion, participants said that the conversation on managed decline needs to be clear to ensure that it means we are “getting off fossil fuels and not greening fossil fuels.” They also highlighted the need to engage disenfranchised, low-income communities and communities of color to ensure a just transition. Other topics included the importance of state and local activities for future climate action; and the role of carbon taxes. From L-R: Greg Muttitt, Oil Change International; Ivetta Gerasimchuk, IISD; and Peter Erickson, SEI. Ivetta Gerasimchuk, IISD, noted that to gain traction when advocating for supply-side subsidy reform, the World Trade Organization (WTO) definition should be used. 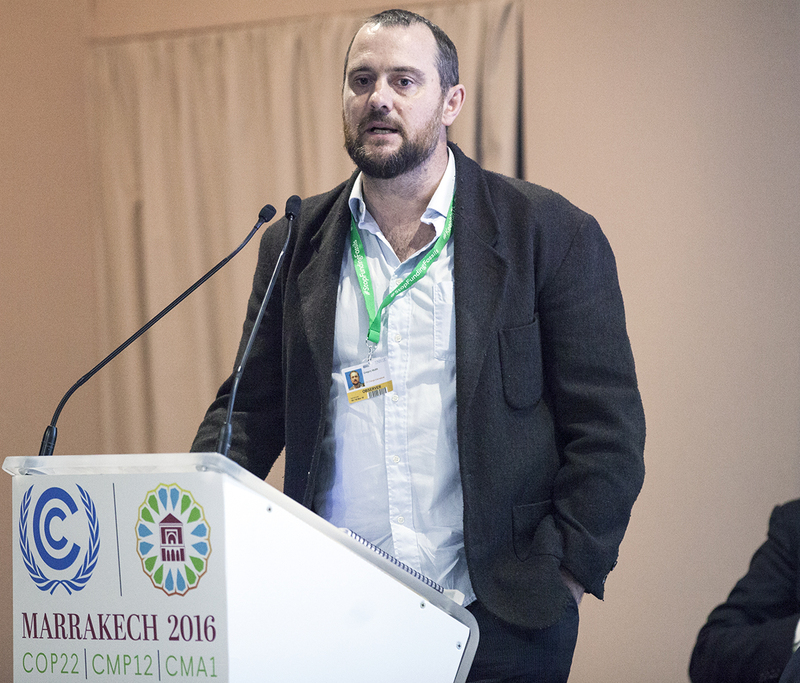 Greg Muttitt, Oil Change International, introduced Oil Change International’s recent report ‘The Sky’s the Limit,’ noting the report states that even if no new fossil fuel infrastructure is built, the 2°C limit will be exceeded. 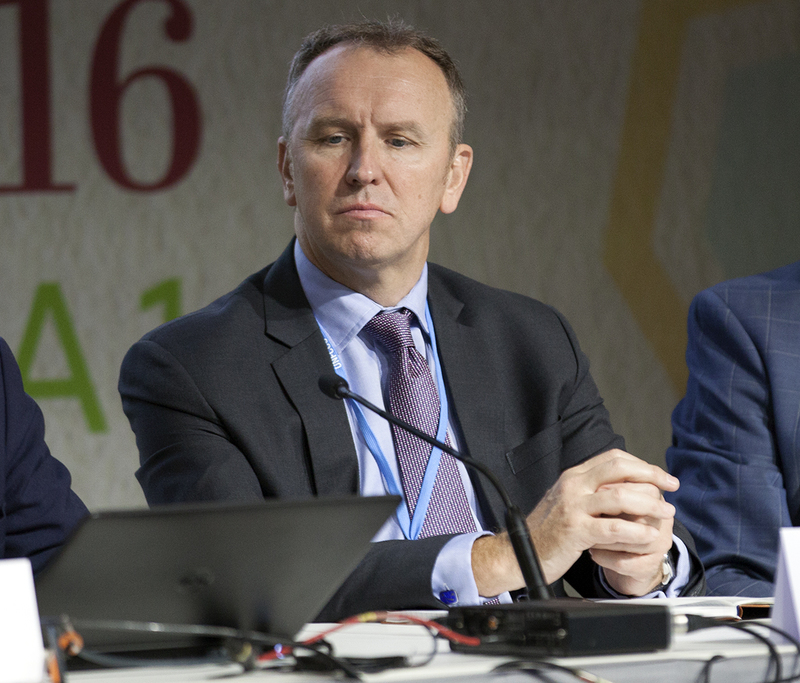 Michael Lazarus, SEI, said that parties should consider how to recognize, track and support supply-side strategies for constraining fossil fuel extraction. This side event, moderated by Lidy Nacpil, APMDD, and Rezaul Karim Chowdhury, COAST Trust, discussed the issue of climate-induced displacement all over the world, focusing on countries most vulnerable to climate change. Nacpil and Chowdhury underscored the urgency of the situation, noting that in addition to simply discussing the extent of the impacts, the rights of the displaced also need to be considered. 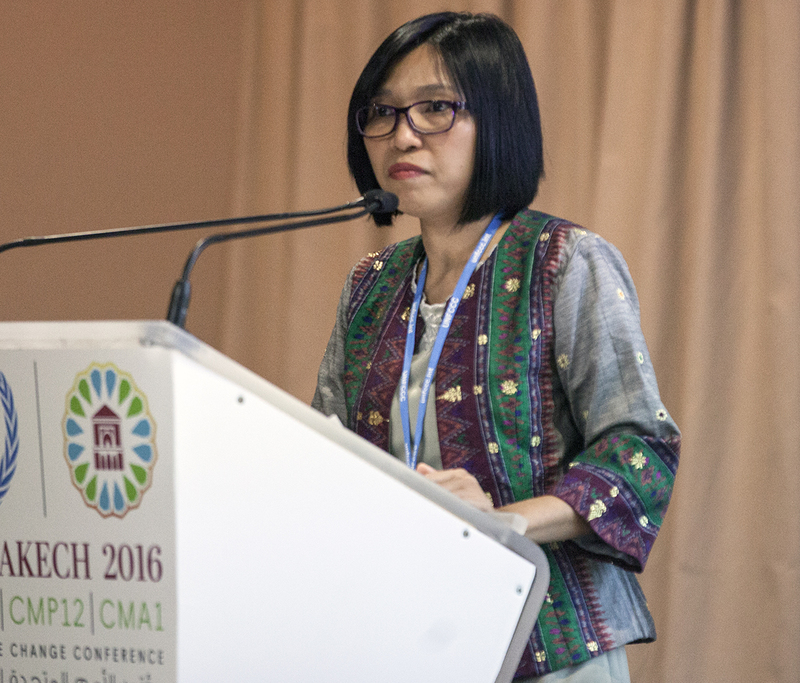 Noting that climate migrants are not covered by the existing legal framework, Azed Girmai, Least Developed Countries Watch (LDC Watch), stressed that a protocol under Warsaw International Mechanism for Loss and Damage associated with Climate Change Impacts (WIM) is required to offer them protection. 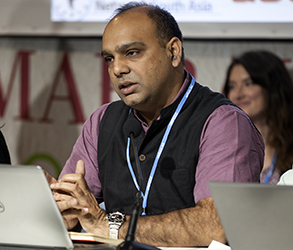 Sanjay Vashist, CAN South Asia, presented on climate-induced migration and policy responses in South Asia. He described four migration patterns, namely permanent, internal, transboundary and external migration, and underscored that simultaneous disasters test the capabilities of disaster risk reduction (DRR) practitioners. Rita Uwaka, Friends of the Earth Africa, focused on displacement in Africa, highlighting sea-level rise and land grabs as important driving forces of migration. Providing numerous examples, she underscored that unregulated internal displacement can have serious consequences in terms of conflicts, as migrants are marginalized as intruders and face social exclusion and discrimination. 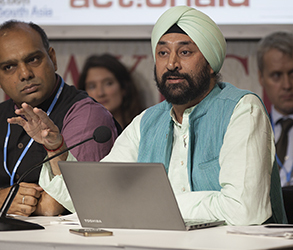 Harjeet Singh, ActionAid, discussed initiatives under the UN Framework Convention on Climate Change (UNFCCC), focusing on WIM. Noting that discussion on terminologies needs to be shortened in order to move towards action, he underscored that migrants need to be protected at regional, national and international levels. Regarding the WIM Taskforce, Singh underscored the need to look at displacement in a more dynamic manner, promote mutual learning, and address legal and institutional challenges. Nina Birkeland, NRC, called for an integrated approach, including the Sendai Framework for DRR, the UN Global Compact and the Platform on Disaster Displacement (PDD). Noting that, as long as temperatures continue to rise, future scenarios will be bleak, Kamal Uddin Ahmed, Secretary, Ministry of Environment and Forest, Bangladesh, focused on efforts at the national level to strengthen capacities, protect the most vulnerable and provide societal safety nets. Stressing that many factors are at play regarding displaced people, Atle Solberg, PDD, noted that climate change is a risk amplifier. He underscored the need for a toolbox of policy options to address the problem and discussed different options for protection, including freedom of movement and regional protection frameworks. Marine Franck, Office of the UN High Commissioner for Refugees (UNHCR), highlighted the need to mainstream human mobility issues in the UNFCCC agenda and stressed that using the term “climate refugees” sends the wrong signal as these people are not protected by the 1951 Refugee Convention. Underscoring that climate change is currently hurting people and the international community is not doing enough, Benjamin Schachter, Office of the UN High Commissioner for Human Rights (OHCHR), noted that the legal and policy regimes must be clarified, and that existing categories can no longer protect the rights of all displaced people. In the ensuing discussion, participants addressed, among others: terminology and whether migration and displacement are used interchangeably; effects on host communities; and ways to build political support for displaced people, especially in the Global North. Rita Uwaka, Friends of the Earth Africa, underscored land grabbing by transnational companies in the name of structural development as one of the causes of displacement in Africa. 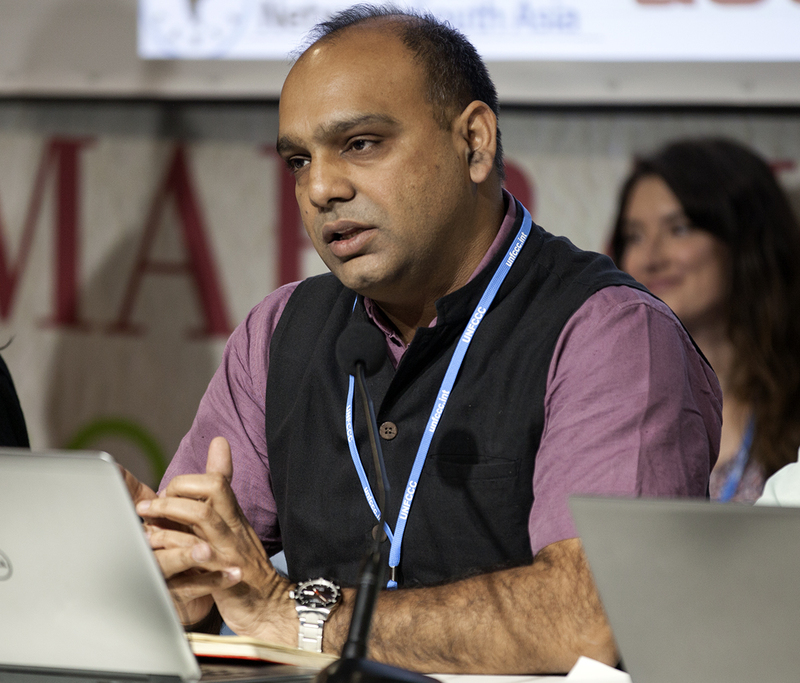 Sanjay Vashist, CAN South Asia, noted that climate change impacts are invisible but are driving migration. The Earth Negotiations Bulletin on the Side (ENBOTS) © <enb@iisd.org> is a special publication of the International Institute for Sustainable Development (IISD). This issue has been written by Karen Alvarenga, Katherine Browne, Bo-Alex Fredvik, Tallash Kantai, Jennifer Lenhart, Ph.D., Kate Louw, Miquel Muñoz Cabre, Nicole de Paula, and Asterios Tsioumanis, Ph.D. The Digital Editors are Mike Muzurakis and Liz Rubin. The Editor is Elena Kosolapova, Ph.D. <elena@iisd.org>. The Director of IISD Reporting Services is Langston James “Kimo” Goree VI <kimo@iisd.org>. The opinions expressed in ENBOTS are those of the authors and do not necessarily reflect the views of IISD and funders. Excerpts from ENBOTS may be used in non-commercial publications only with appropriate academic citation. For permission to use this material in commercial publications, contact the Director of IISD Reporting Services at <kimo@iisd.org>. Electronic versions of issues of ENBOTS from the Marrakech Climate Change Conference - November 2016, can be found on the IISD Reporting Services website at http://enb.iisd.org/climate/cop22/enbots/. The ENBOTS Team at the Marrakech Climate Change Conference - November 2016, can be contacted by e-mail at <tallash@iisd.org>.